I don't have official descriptions yet but I think the names are pretty straight forward. I get a kick out of the white labeling on the chocolate sorbetto (a labeling first for talenti, and we havent seen a new sorbetto from them in 3 years). Vanilla Caramel Swirl seems like their caramel cookie crunch without the crunch. Coconut Almond Chocolate seems to be a mix of their coconut chocolate chip and almond flavors. Peanut Butter Pretzel seems to be a variation of their #26 Peanut Butter Chocolate Pretzel that was a Publix exclusive. It ditches the chocolate swirl for a peanut butter one and now uses pretzel balls instead of pretzel sticks. 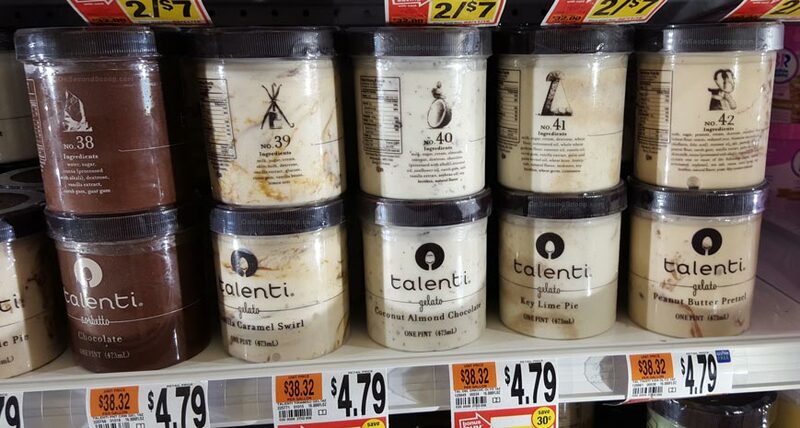 Key Lime Pie totally seems to be in Talenti's wheelhouse. Update: Wild Blackerry photos thanks to Brandon! 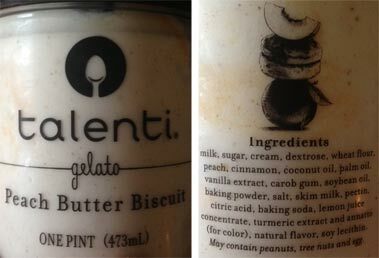 Update #2: Photos of the Publix exclusive Talenti Peach Butter Biscuit Gelato thanks to Sarah. Hmmm, weird, there's actually a nut (and egg) allergy warning on it. Key lime and chocolate sorbetto - Yum! And that was my response too...a brownie batter core sounds amazing! Especially if it's half vanilla ice cream and half chocolate, Like in the old fudge truffle core flavor that was incredible. Sorbetto and Sorbet are the same thing and generally refer to a non-dairy product. Sherbet is when you mix in a bit of dairy, but not enough to make it ice cream. It's amazing how cheap it is. You guys are very lucky. @Anon: try to shop around if you can, I think the lowest is like $3.99 at walmart and the highest being like $5.99 at whole foods. They've really ramped up production over the years so hopefully you can find a more budget friendly price. There is also a Wild Blackberry. Picked it up at Sprouts. They are doing a 2 for $7 deal. Just saw the full brownie batter description--chocolate and vanilla like I was hoping for, but even better because both flavors also have pieces of brownie!! Dubba and/or Nick, I sure hope you will review it! I've tried four of the new flavors. The vanilla caramel swirl and the coconut chocolate almond are less creative but both solid flavors. I really like the key lime pie, especially the swirl. It was the perfect touch. 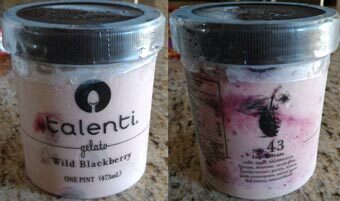 I thought the wild blackberry was fantastic. It's bit as good as raspberries and cream, but it's definitely a repurchase for me. Publix is doing a 2 for $7 deal this week. Picked up the Peach Butter Biscuit and the Key Lime Pie..AMPED! @Sarah: Thank you for the photos! I'll get them added to this post shortly.